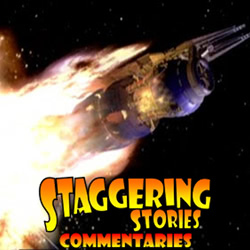 Adam J Purcell, Andy Simpkins and Keith Dunn sit down, mourning, in front of the last ever Babylon 5 episode ‘Sleeping in Light’, and spout our usual nonsense! 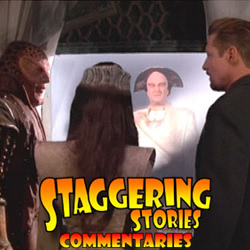 The Lurker’s Guide to Babylon 5: Sleeping in Light. Wikipedia: Babylon 5 – Sleeping in Light. 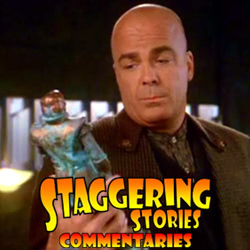 Adam J Purcell, Andy Simpkins and Keith Dunn sit down, preparing, in front of the penultimate Babylon 5 episode ‘Objects at Rest’, and spout our usual nonsense! The Lurker’s Guide to Babylon 5: Objects at Rest. Wikipedia: Babylon 5 – Objects at Rest. Adam J Purcell, Andy Simpkins and Keith Dunn sit down, detoxing, in front of the Season 5 Babylon 5 episode ‘Objects in Motion’, and spout our usual nonsense! The Lurker’s Guide to Babylon 5: Objects in Motion. Wikipedia: Babylon 5 – Objects in Motion. 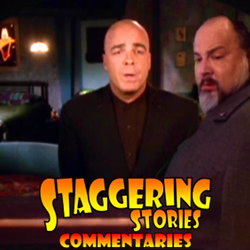 Adam J Purcell, Andy Simpkins and Keith Dunn sit down, bargaining, in front of the Season 5 Babylon 5 episode ‘The Wheel of Fire’, and spout our usual nonsense! The Lurker’s Guide to Babylon 5: The Wheel of Fire. Wikipedia: Babylon 5 – The Wheel of Fire. Adam J Purcell, Andy Simpkins and Keith Dunn sit down, coronated, in front of the Season 5 Babylon 5 episode ‘The Fall of Centauri Prime’, and spout our usual nonsense! The Lurker’s Guide to Babylon 5: The Fall of Centauri Prime. Wikipedia: Babylon 5 – The Fall of Centauri Prime.